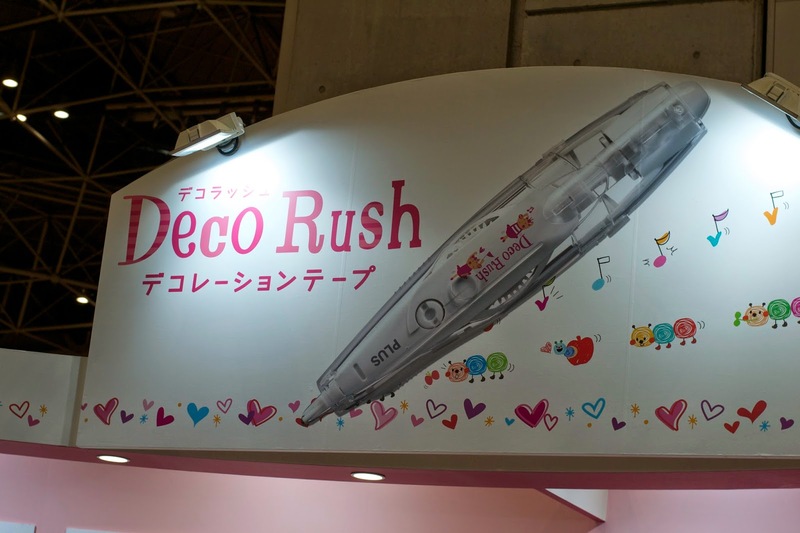 Last weekend, I went to Tokyo to check out the International Tokyo Toy Show! I saw some people post about it when it happened last year so I knew that I had to see it this time around. 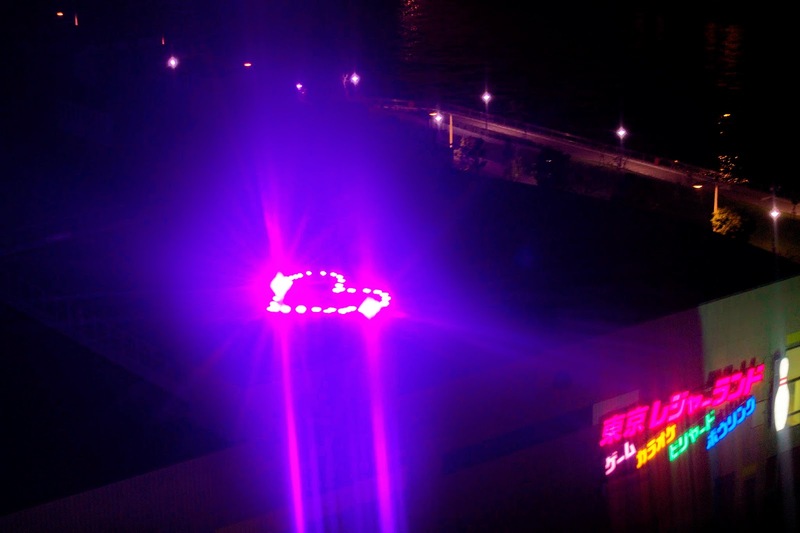 The show was held at a convention center called Tokyo Big Sight. I had never been to this area of Tokyo before and it was so beautiful! It reminded me of one of those futuristic Pokemon towns. The space was really large and there was so much to see! 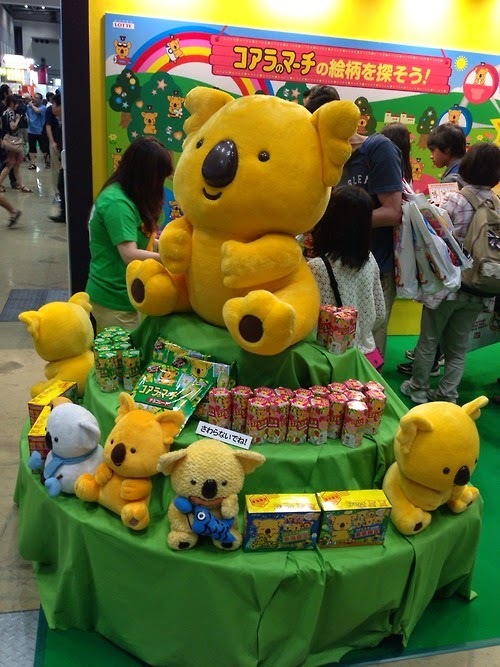 When I first walked into the exhibition hall, I saw a bunch of mascots like this one below. They were so cute! This post is very image heavy so I am putting the rest behind a link. Please click below! 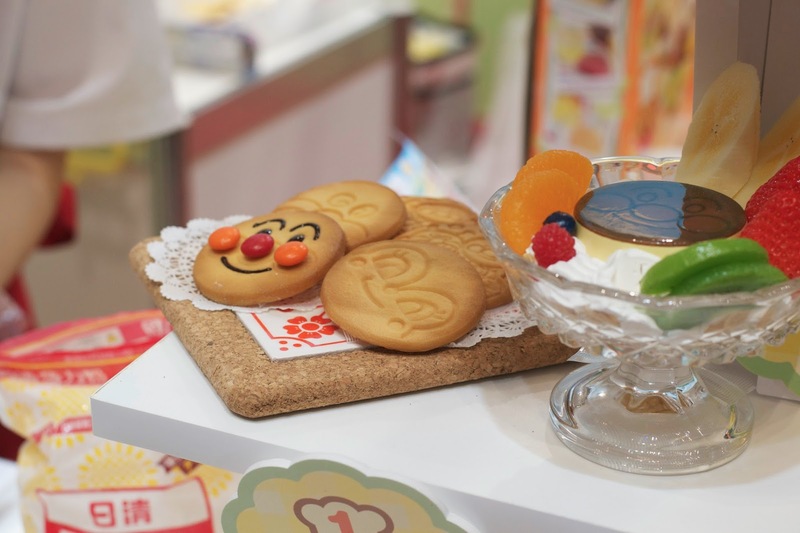 There was a booth for コアラのマーチ (Koala's March) cookies but my friends and I couldn't understand how their giveaway raffle thing worked so we didn't participate in whatever that was. It seemed like a lot of the fun activities had an age limit of 6 years old or something and sadly I can no longer pass as that young. 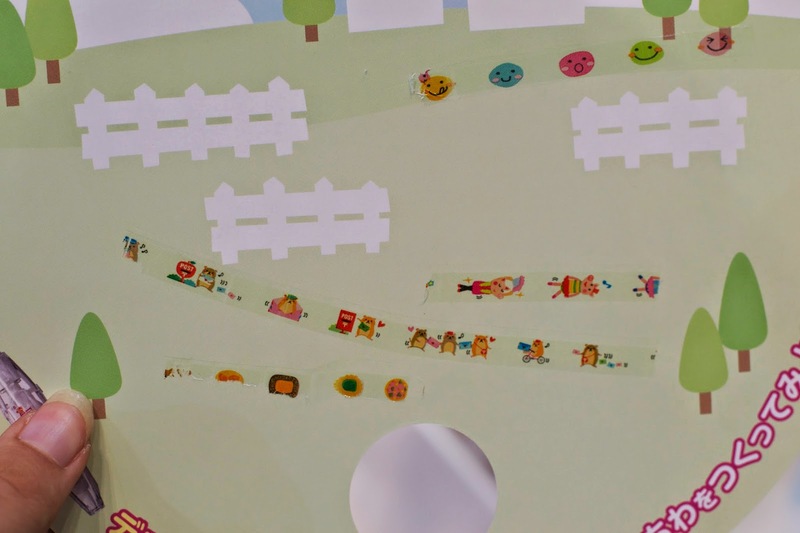 We were allowed to do this thing with decotape though. It looks just like that white out tape but it serves way less of a serious purpose. It just deposits some kind of little character designs when you use it instead of plain white tape. 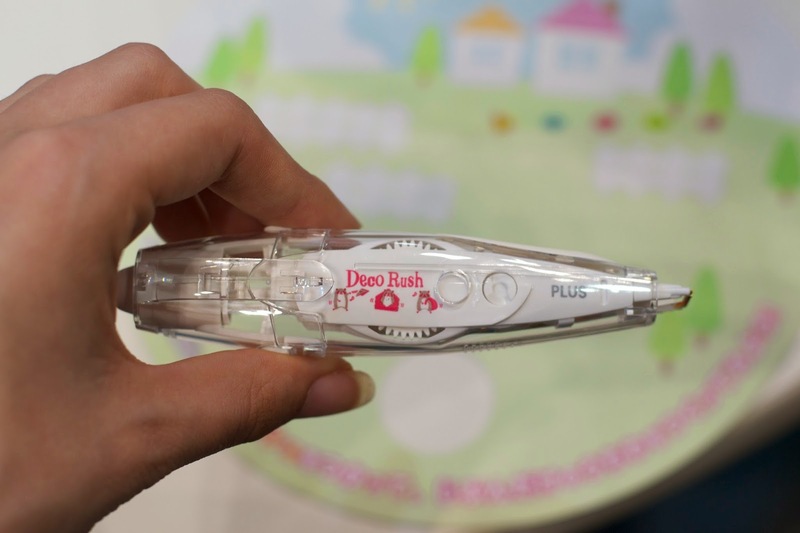 I feel it would make a good "I got this for you in Japan isn't this kind of cute but also useless" gift. I loved the alpacas!!! Look how cute they are! 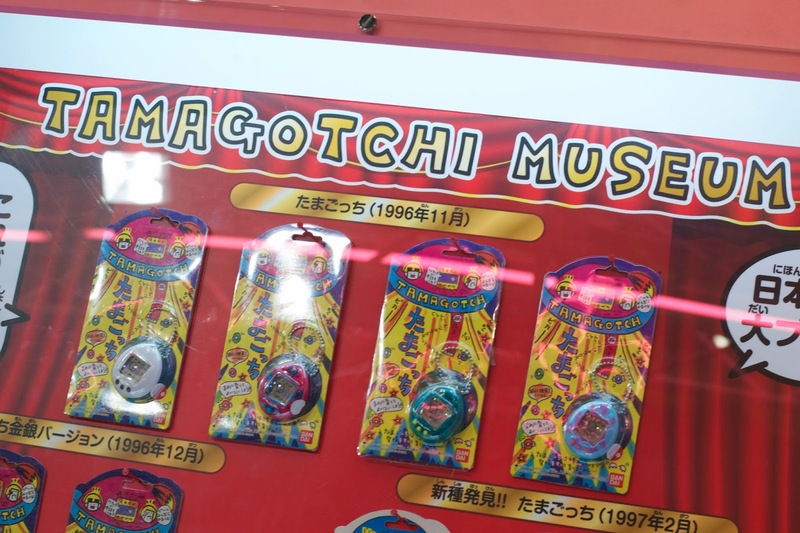 The booth was doing a game where you paid something like 300 yen to turn this wheel and depending on the color of the ball that came out, you could win a certain prize. 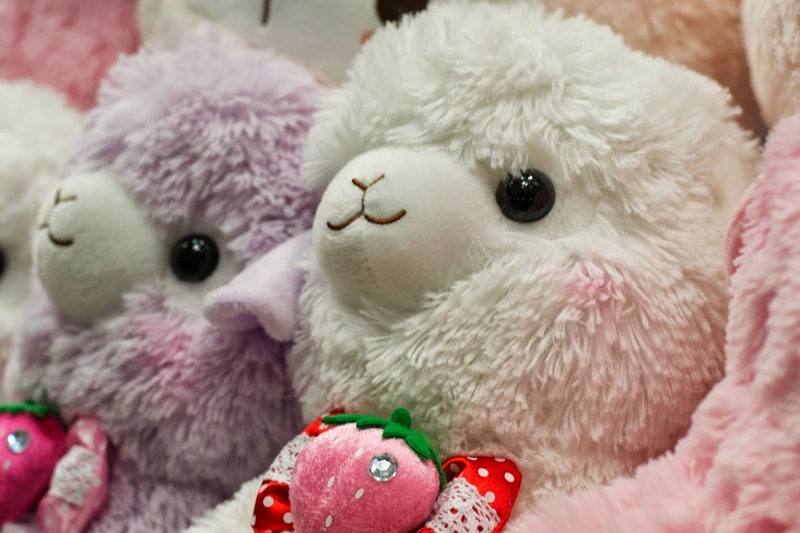 I am way too broke right now but my friend did it and won a really cute alpaca pen! 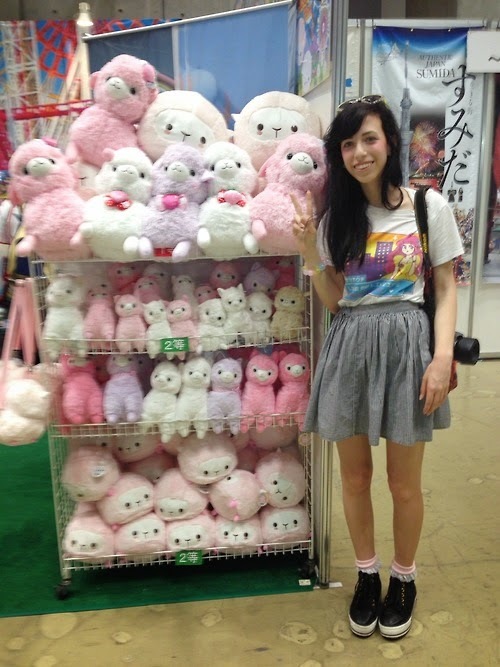 I just had a photo taken with these cuties as my souvenir. 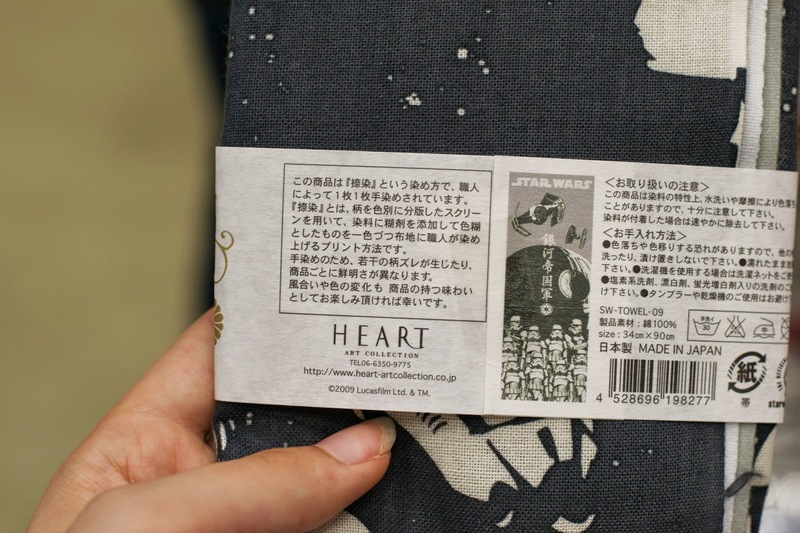 These Star Wars towels, at least that's what the package calls them, were one of the coolest things I saw. 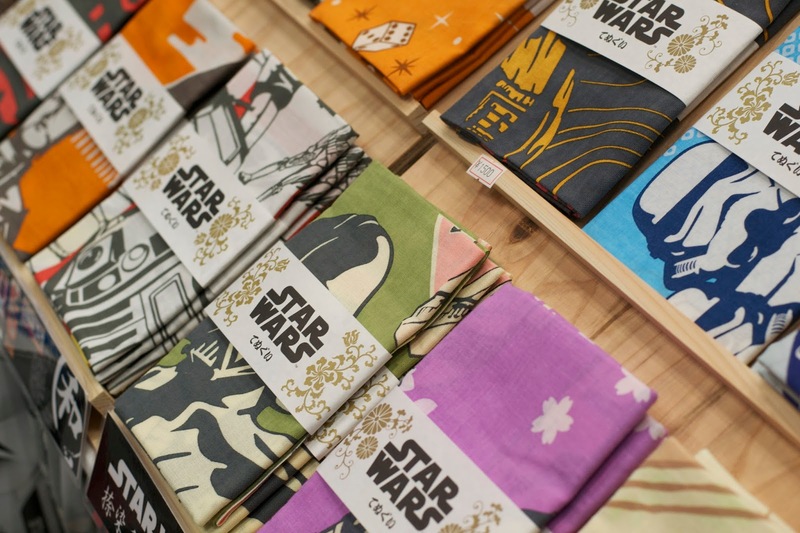 I love how the design is of the Star Wars characters in a traditional Japanese style. I've never seen anything like it before. 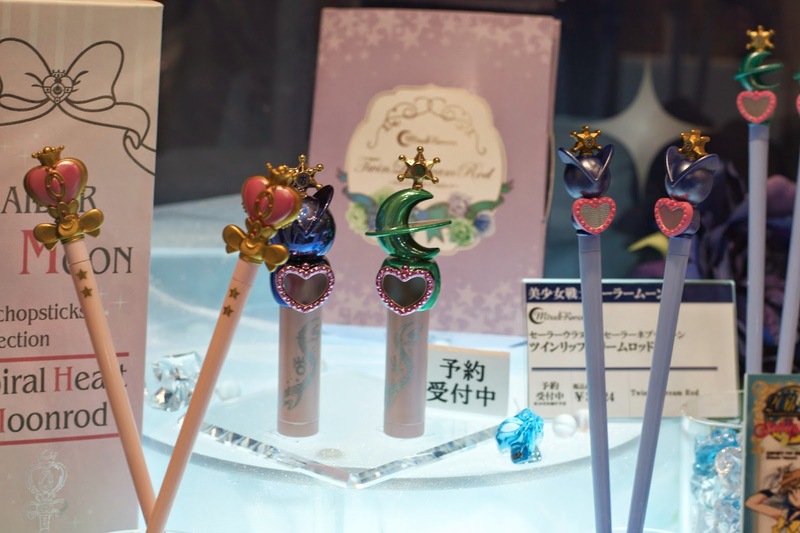 They were kind of expensive at 1,500 yen (~$15) a piece, but I think they would make a great gift. I made sure to take the photo below so I knew where I could find them in the future. I think that Bandai had the biggest booth in the whole convention. 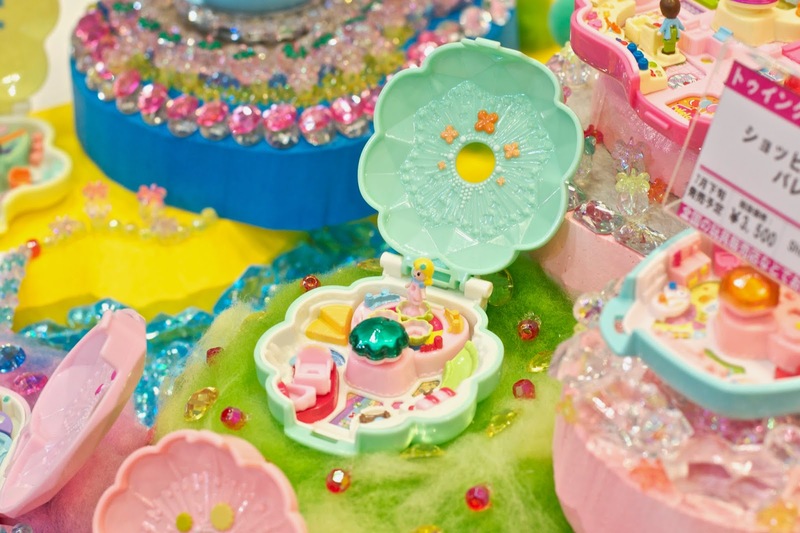 Within the Bandai section, there were several smaller exhibitions set up. 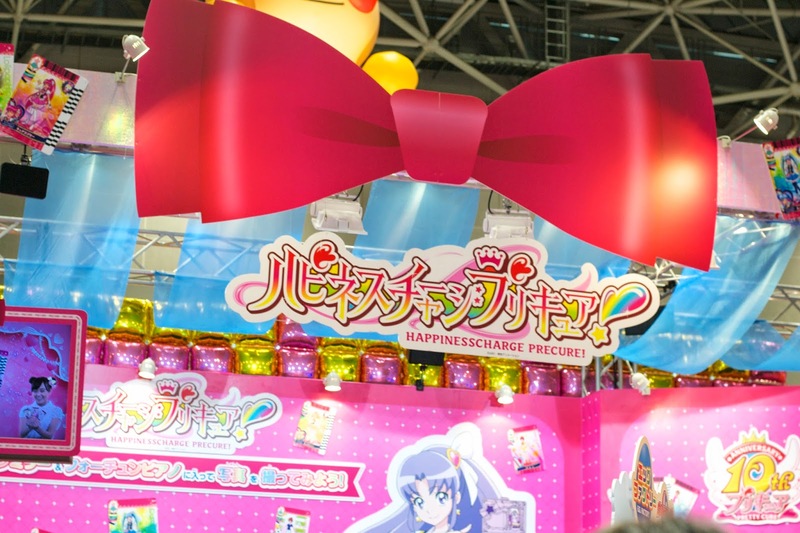 The first one I stopped by was for the anime Precure. 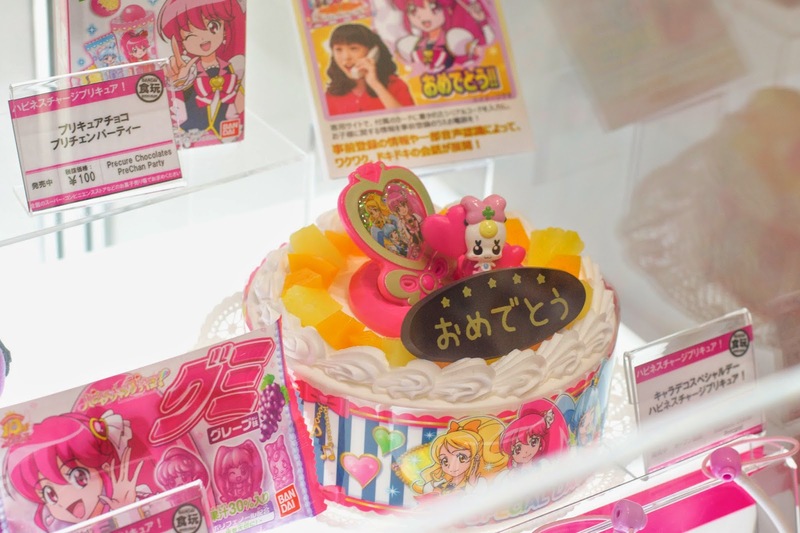 I honestly have never seen a single episode of Precure because series that have that many episodes overwhelm me. 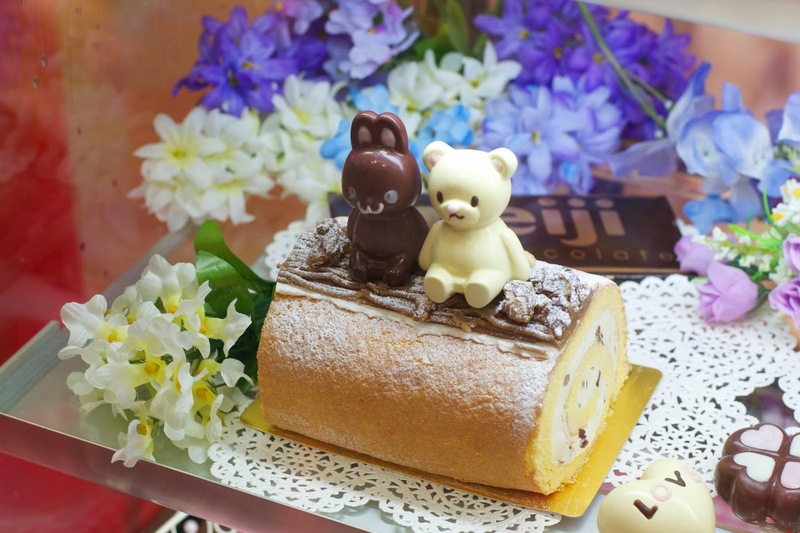 But it looks pretty cute and so was the setup. 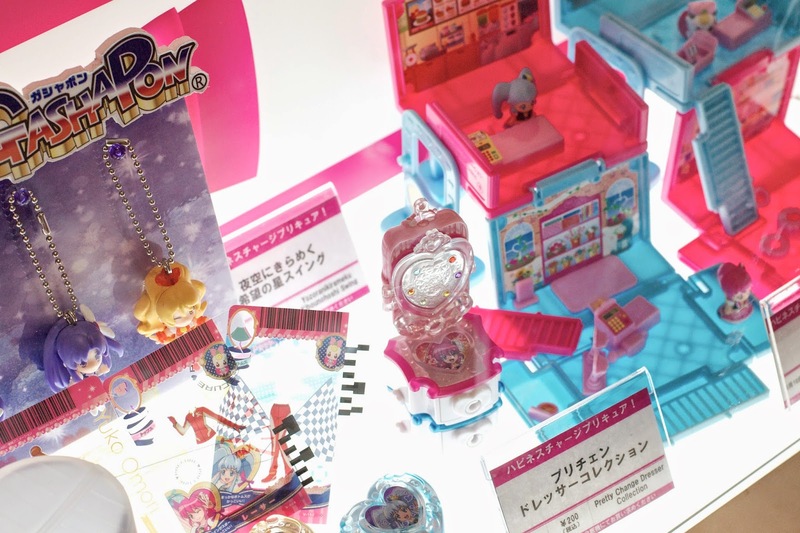 Bandai has this new item called "トゥインクルパクト" (Twinkle Pact) that is basically just like the old version of Polly Pocket, just naturally a little less cool. They're still pretty cute though! 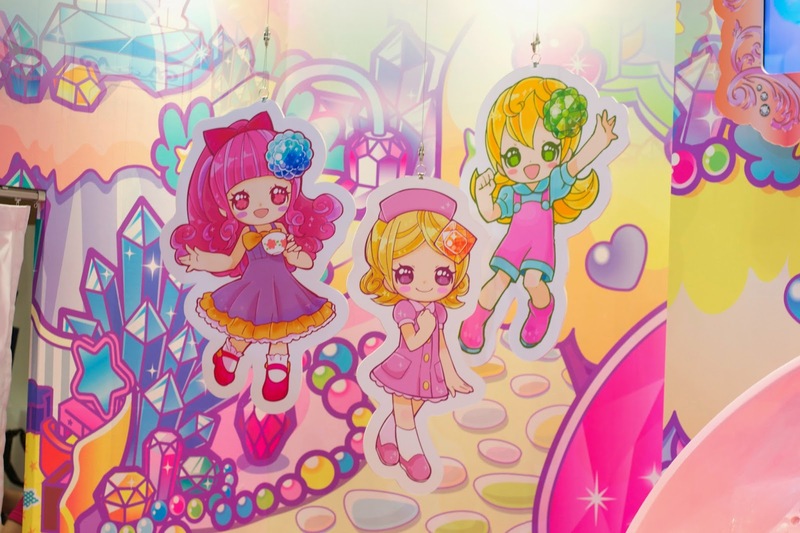 I liked the cardboard cutouts they had of the characters that were hanging up too. 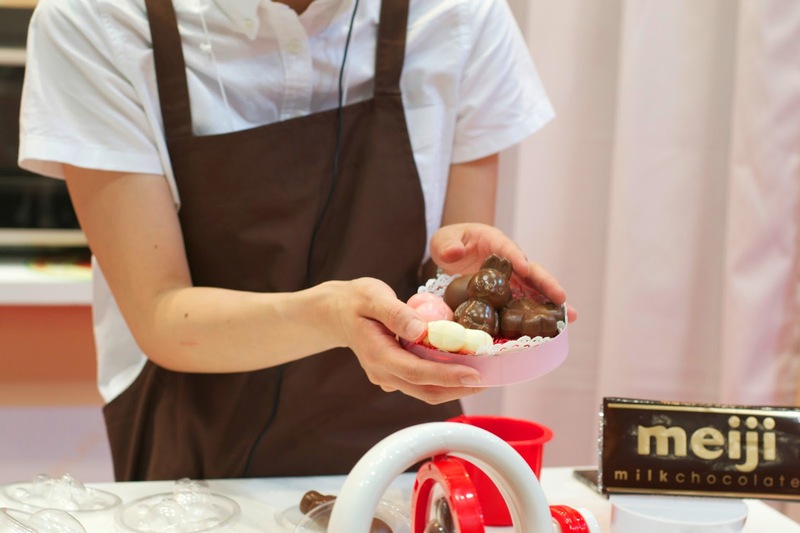 I also learned that Bandai sells these chocolate making toys. I thought they were kind of funny because it looked like one of those astronaut training rides that they always showed on commercials for space camp. 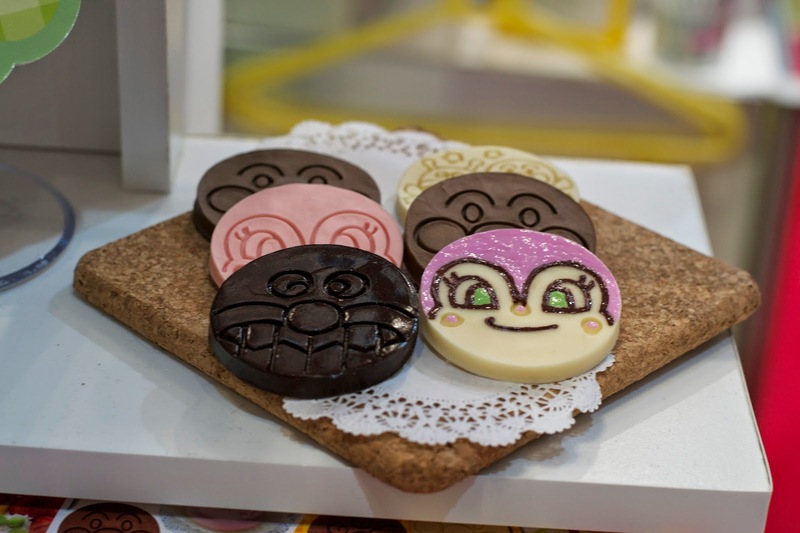 There was also an Anpanman chocolate/cookie making section. I liked these too! 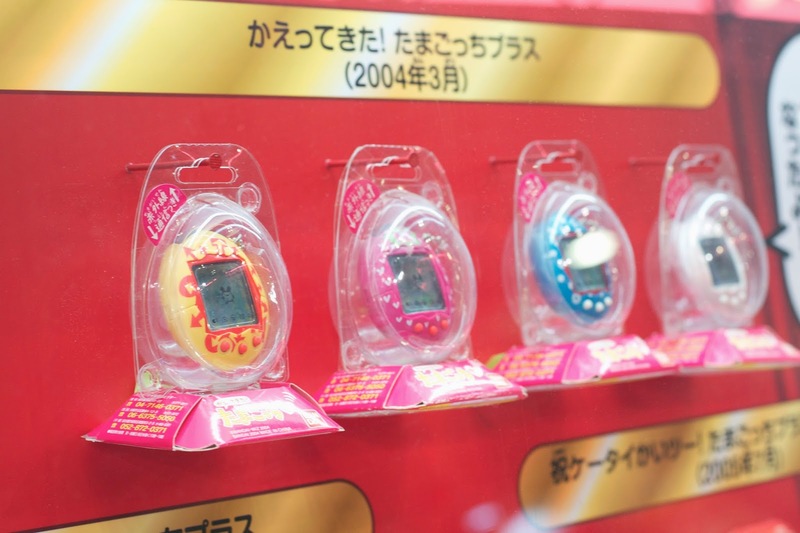 I also absolutely loved this Tamagotchi section! 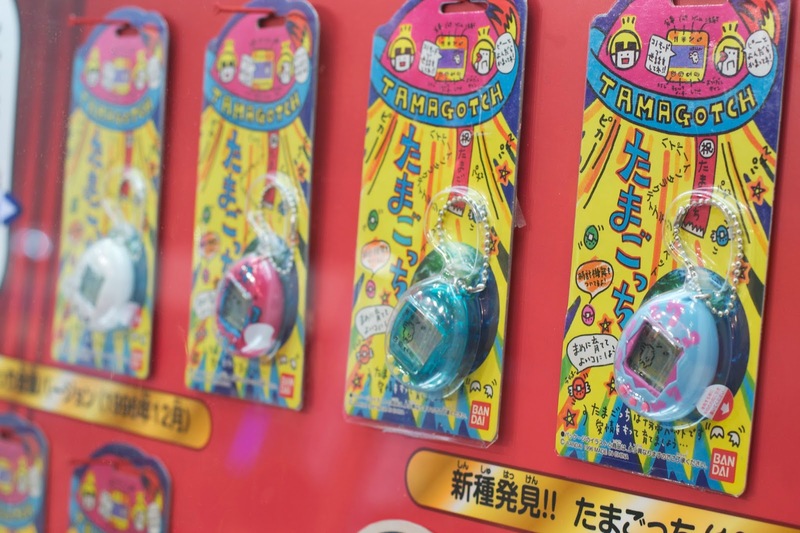 I am so used to using Japanese and it feels so wrong to write it as "tamagotchi" when it should be "tamagochi"...fun fact~ It was really cool because they had a display of some old Tamagotchis as well as the brand new ones! 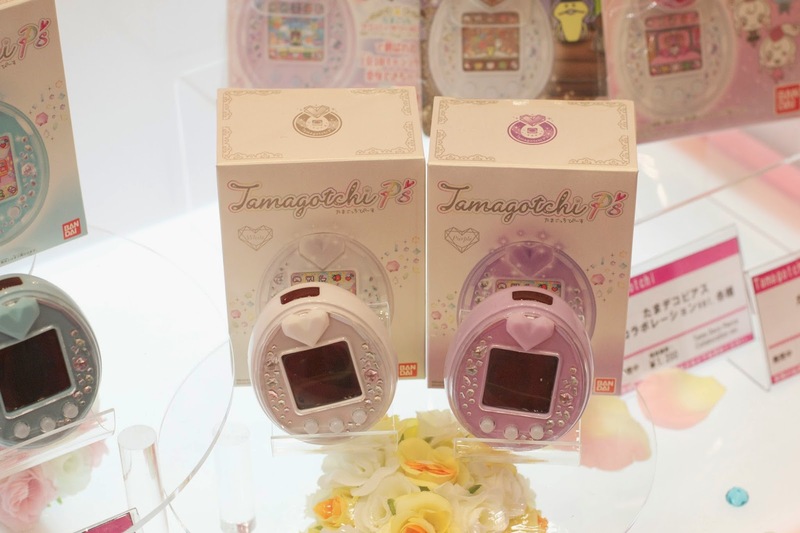 Did you have a Tamagotchi when you were younger? It took a lot of begging for my parents to allow me to have one. When I got mine, I don't think it was even one of the officially licensed ones. Later I got one of those ones that could connect with my friends though I was one of the few people in my middle school who still thought they were cool. 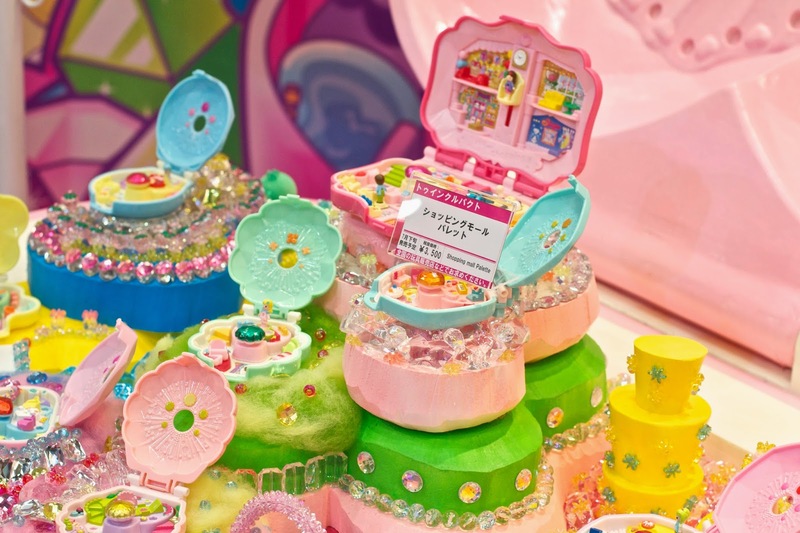 The Tamagotchi P's look so luxurious! They're so pretty and I wish I could have one but they're so expensive! I worry that I already have enough to take care of between my actual apartment and Animal Crossing town because things are already getting neglecting (my Neopets). Adding a virtual pet to the picture might be a bit much to handle. 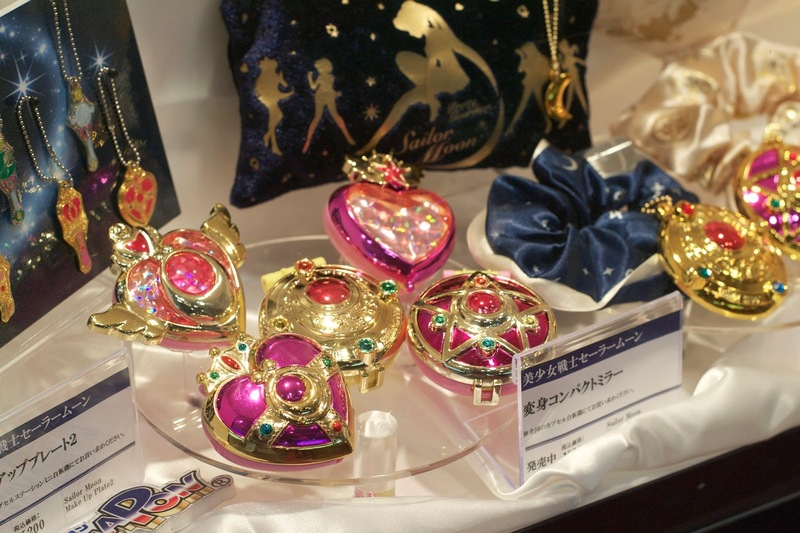 Next is what I was most excited about- new Sailor Moon merchandise! 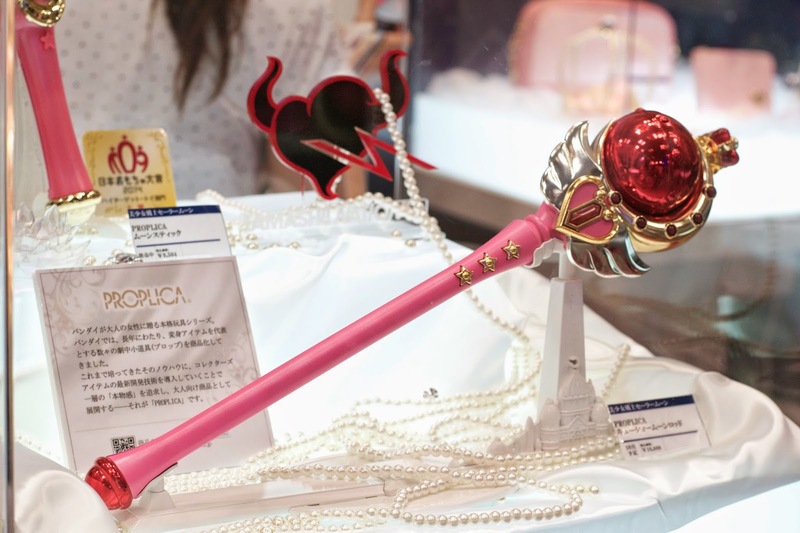 If you read my post about why I wanted to come to Japan, you'll know how important Sailor Moon is to me. 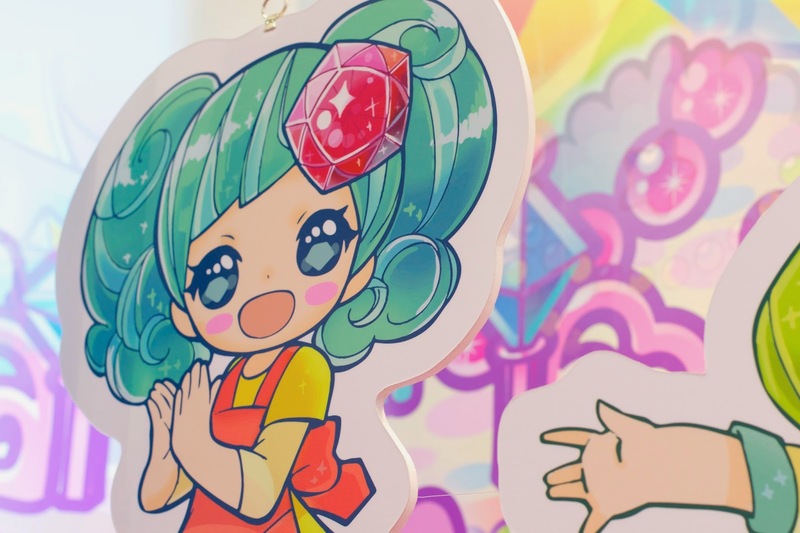 I really haven't bought much new merch besides the gacha toys because I'm so pressed for money lately. These were still really cool to see in person. I wish I could have some of these things! 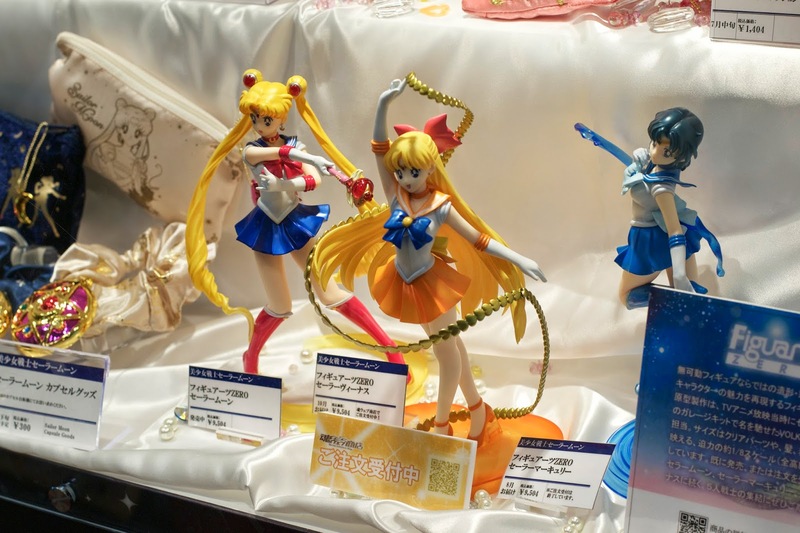 I think a lot of it is really high end because they know many people who were Sailor Moon fans when they were young are old enough to have decently paying jobs. 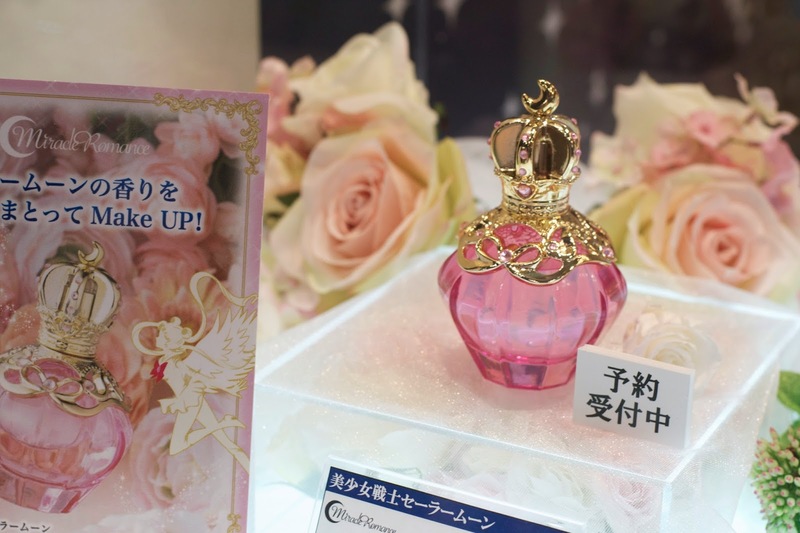 This one is the newly announced perfume item. The bottle is so pretty! I love the proplica items so much. They're really perfect! I honestly think that all the new merch looks amazing and really well executed. I feel like my eyes become hearts every time I look at one of the items. I will probably have to keep dreaming though. 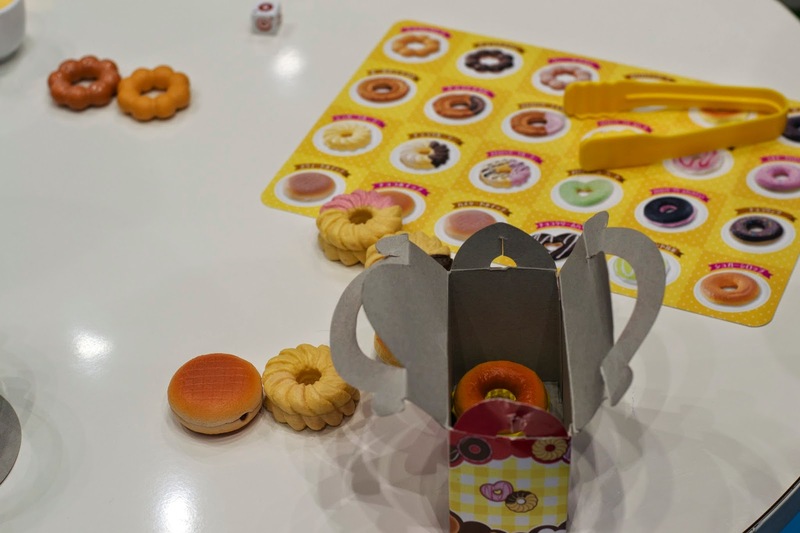 This donut game was so cute. Some kids were playing with it and tried to bring plates of plastic donuts and a plastic coffee to their unenthusiastic parents. 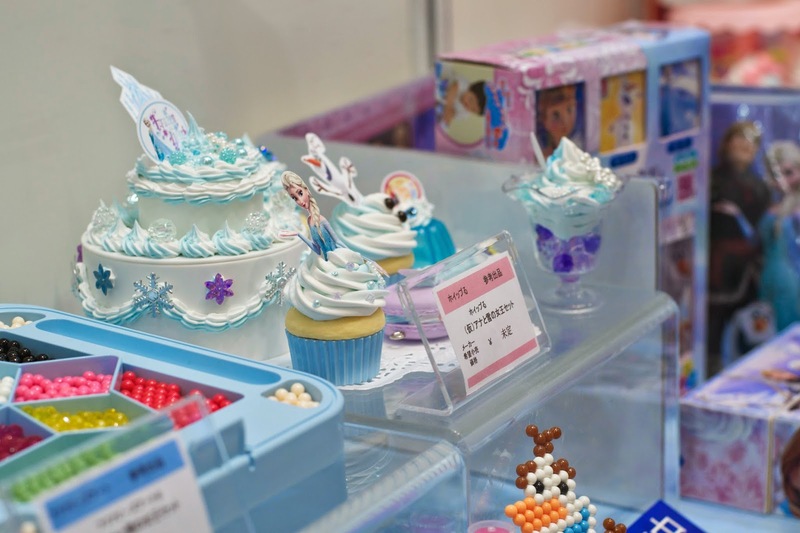 I took a picture of this Japanese Frozen merchandise before realizing they said no photos of it. Oops, sorry. 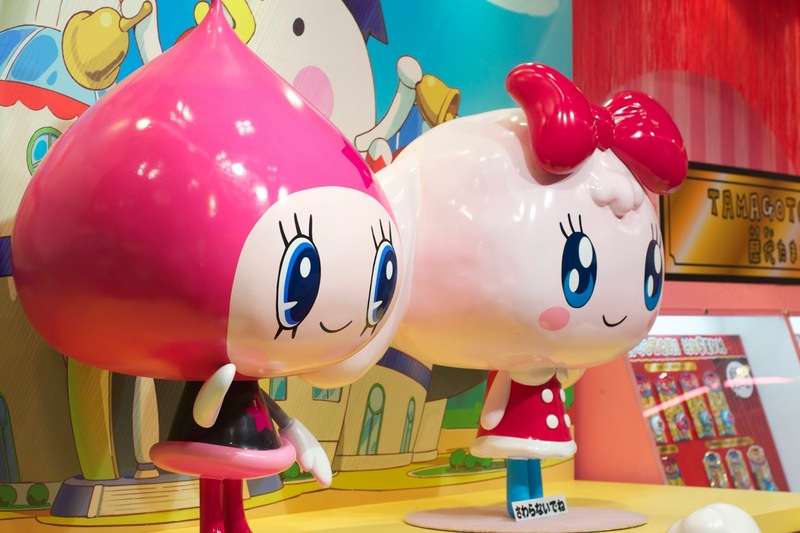 And that's all for my Tokyo Toy Show experience! 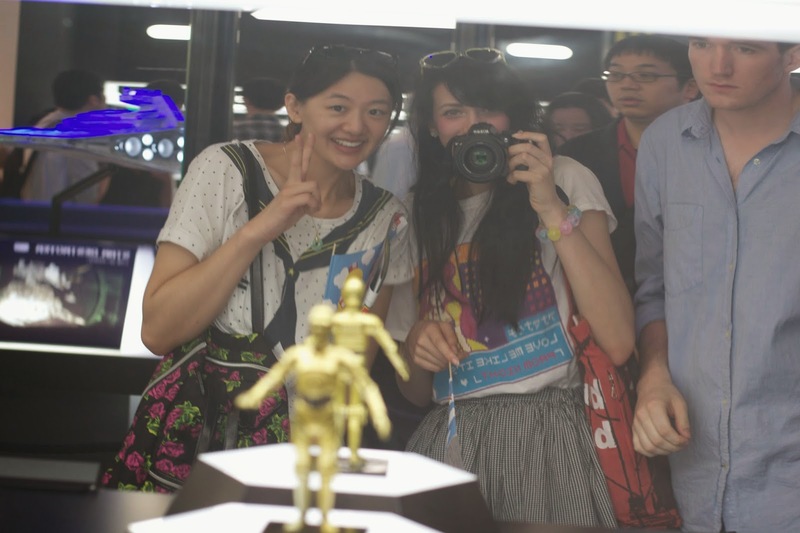 Afterward, my friends and I met up with some Japanese friends and walked around Odaiba. 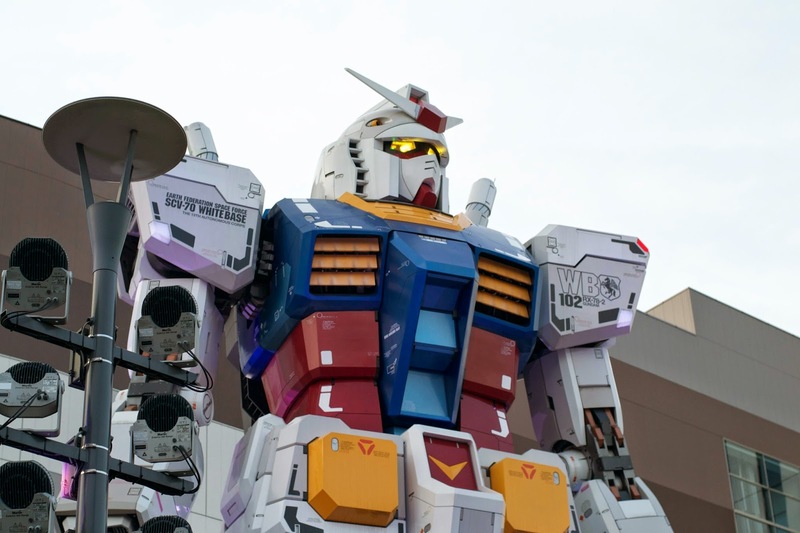 We went to the Fuji TV building and saw the giant Gundam! Aww thank you!!! I like writing these because they make me feel like I'm doing cool things with my life. NO. IT WAS BEHIND GLASS. 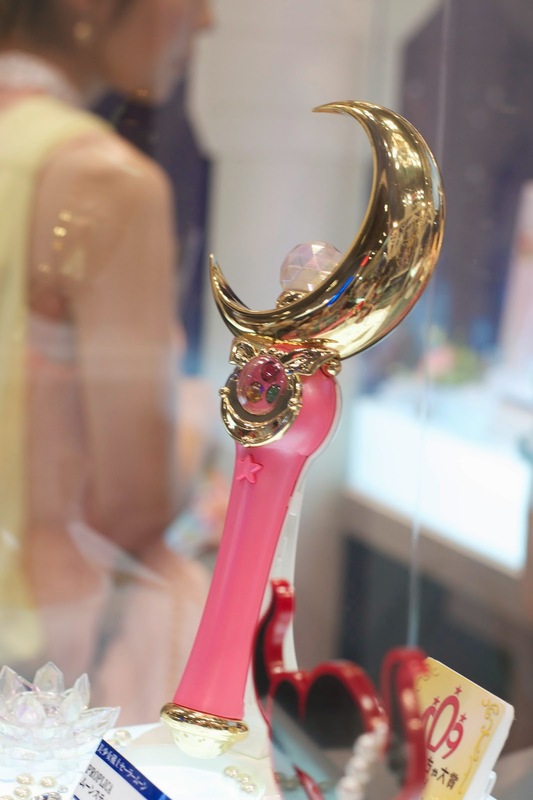 Hey Carly, Is the Sailor Moon merchandise that expensive? I will send you your birthday present and you can get something for yourself. Will you be able to cash a check of mine or would a traveler's check be better? Love you, Aunt Abbey ps was that Chris in one of your photos? Hello! 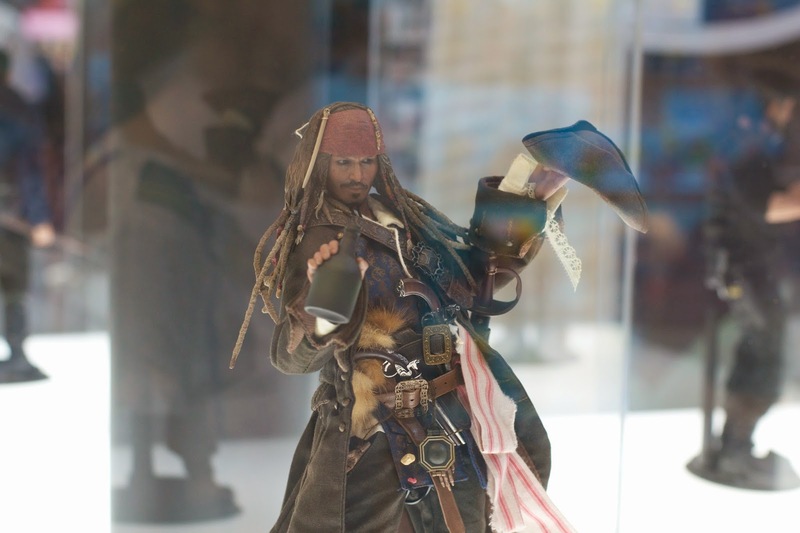 Some of it is really expensive because it's a collector's item but there are some small things. 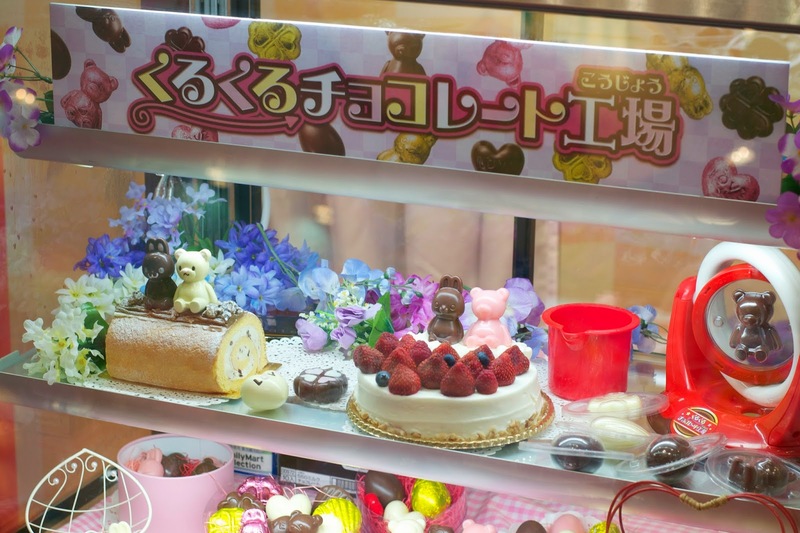 Besides that, there's a lot of really cute stuff here everywhere so I would have no trouble finding something. I will have to check on the traveler's check thing. I think there's a way to do that. Not sure about a regular check because my bank here is a disaster.